Grab your sweetie and head over to Snus Hill Winery for an evening of wine and live music from According To Hoyle. There is NO COVER for this event! Get some friends together for a FUN night out “painting and sipping” on Thurs. Feb. 15th at 6:30pm at Snus Hill Winery. Enjoy Snus’ great wines and bring snacks if you choose to enjoy while painting! Our artist will walk you through each step making it fun and easy to create your “masterpiece”. Please arrive 15-20 minutes prior to start time to check in, find a seat and choose your paint colors. HAPPY PAINTING! Join us for another Locally Grown Showcase! Hosted by Landy Lou and Evie Too and Snus Hill Winery, the Locally Grown Showcase is a shopping event you don’t want to miss. Peruse one-of-a-kind items that are ALL handmade! Chris will be pouring wine both Saturday (VIP Night) and Sunday, with discounted glasses of wine and specials both nights. STOCK up on your favorite Snus Wines and don’t forget a few for gifts too! Come shop with us for an experience you’ll never forget! VIP Tickets can be purchased at the door for $10 each. It’s time for our annual ADULTS ONLY Halloween Party with Fat Tuesday! The members of the Heart of Iowa Wine trail are excited to present this pre-holiday fun event. Visit as many member wineries & meadery as you like. Your $15 entrance ticket gets you VIP treatment at all 8 wineries & 1 meadery. 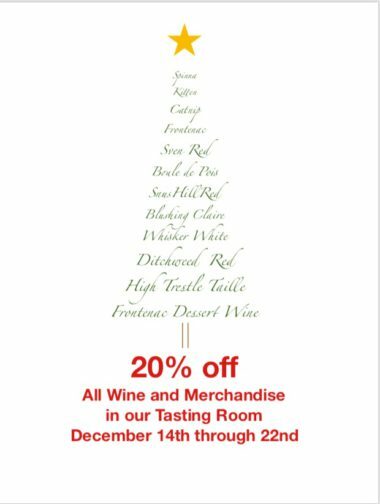 Taste up to 3 wines paired with a specially prepared holiday treat. Are you ready for our 4th Annual LOCALLY GROWN SHOWCASE!!??! Hosted by Landy Lou & Evie Too along with Snus Hill Winery, the Locally Grown Showcase is a shopping event you don’t want to miss. Peruse one-of-a-kind items that are ALL handmade. Clothing and Accessories for Adults/ Children, Home Decor, Children’s Toys, Hand Crafted Jewelry and amazing Gifts that are sure to please anyone in the family. Snus Hill Winery will pour wine both Saturday (VIP Night) and Sunday, with discounted glasses of wine and specials both nights. STOCK up on your favorite Snus Wines and don’t forget a few for gifts too! “SHINY AND BRIGHT” is a perfect painting for holiday decorations (or gift idea.) Customize as you choose! Get some friends together and join us on Thurs. Nov 16th at 6:30pm at Snus Hill Winery. Enjoy Snus’ wines and bring snacks if you choose to enjoy while painting! Our artist will walk you through each step making it fun and easy to create your “masterpiece.” Please arrive 15-20 minutes prior to start time to check in, find a seat and choose your paint colors. HAPPY PAINTING! Join BOM fitness for another fun night of socializing & fitness. A light workout with plenty of laughs and good times. Wine for the workout is included in your admittance fee. Jimmy Olsen is back Sunday, November 19th for another trivia afternoon. Gather your smartest friends for a chance to win some prizes! There is no fee to enter. Teams of eight are preferred. Come up with a team name and call the winery to register (515)795-3535. We will be Closed Thursday, November 23rd and Friday, November 24th for the Thanksgiving Holiday. Enjoy an afternoon of painting with Creative Spirits. Snus’ wines and bring snacks if you choose to enjoy while painting! Our artist will walk you through each step making it fun and easy to create your “masterpiece.” Customize with your color choices! Please arrive 15-20 minutes prior to start time to check in, find a seat and choose your paint colors. HAPPY PAINTING! Register with Creative Spirits. Jimmy Olsen is back Saturday, September 23rd for another trivia afternoon. Gather your smartest friends for a chance to win some prizes! There is no fee to enter. Teams of eight are preferred. Come up with a team name and call the winery to register (515)795-3535.
tickets: $20 in advance seating is limited! Soup, sandwiches, and sides available for a Free Will Donation. All proceeds from this event will benefit adoption efforts of The Road Leeds to Wu. Tickets available in advance at ticketbud. 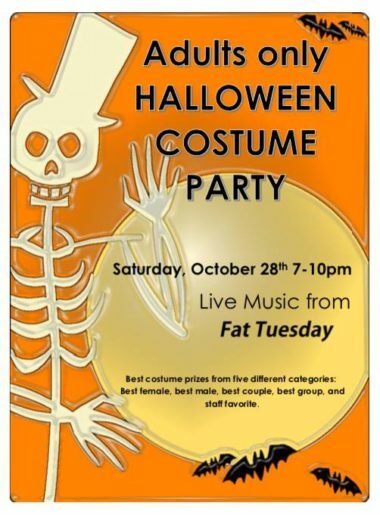 It’s almost time for our annual ADULTS ONLY Halloween Party with Fat Tuesday! Dress in your best costume to win prizes from five different categories: Best female, best male, best couple, best group, and staff’s favorite pick. Great news for Ames residents! HIRTA public transit will be provide a shuttle from Ames to Snus Hill Winery for our Friday night music events June through September. For $10, they will pick you up anywhere in Ames, drive you to Snus Hill, and return you back to your original location after the music. The first time you choose to ride with HIRTA, you will receive a free glass wine that evening. Call HIRTA by 4:00 pm Thursday to book your seat on the Wine and Ride shuttle for the weekend! 1-877-686-0029. Please join us on our lawn for our annual Tropical Party! Tropical Steel Caribbean Steel band will play their “sweet island sounds” from 2-5pm. Let them sweep you off to the islands with their collection of energetic and soothing sound of Caribbean and Latin music featuring Calypso, Soca, Rock, Reggae and Cha Cha. Ricos Tacos food truck will serve their authentic mexican cuisine. There is no price for admission to this family friendly event. Jimmy Olsen is back Saturday, August 19th for another trivia afternoon. Gather your smartest friends for a chance to win prizes! There is no fee to enter. Teams of eight are preferred. Come up with a team name and call the winery to register (515)795-3535. Great news for Ames residents! HIRTA public transit will be provide a shuttle from Ames to Snus Hill Winery for our Friday night music events June through September!! For $10, they will pick you up anywhere in Ames, drive you to Snus Hill, and return you back to your original location after the music. The first time you choose to ride with HIRTA, you will receive a free glass wine that evening. Call HIRTA by 4:00 pm Thursday to book your seat on the Wine and Ride shuttle for the weekend! 1-877-686-0029. Jimmy Olsen is back Saturday, July 29th for another trivia afternoon. Gather your smartest friends for a chance to win some prizes! There is no fee to enter. Teams of eight are preferred. Come up with a team name and call the winery to register (515)795-3535. We are bringing your favorite food trucks to our live music events this summer! Check out our band schedule below for when you can enjoy delicious local treats from Rico’s Tacos, Smiles and Gyros, and The Mucky Duck‘s Mobile Mallard.